The pineapple stands out as one of the most well known line design methods in all of crochet history. It is both stunning and delightful. It’s ideal for any style and taste, and looks gorgeous, no matter the occasion. 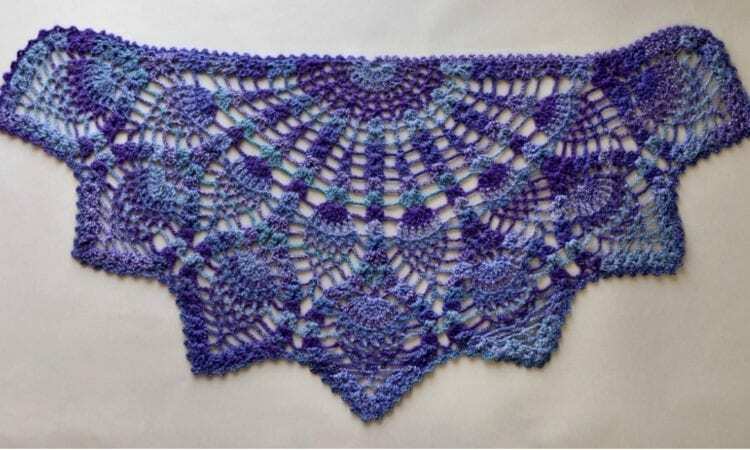 The most loved element of this shawl is the perfect yarn and lovely color. It is exceptionally agreeable to wear. The best part is that it has a free crochet pattern for you to start with making it easier to begin. The final product will still outstanding. Good luck! The link to the full pattern is below. 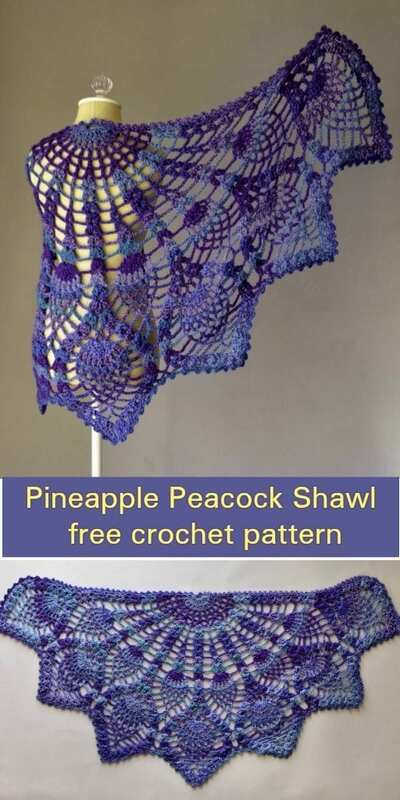 Pineapple Peacock Shawl – the free pattern is here. For more ideas and free patterns join our Facebook group. Kann man die Anleitung vom gehäkelten Pfauenmuster auch in Deutsch bekommen?